The unflappable Phryne is off on a quiet seaside holiday with Dot, Jane and Ruth - surely they won't be disturbed by a murder . Travelling at high speed in her beloved Hispano-Suiza accompanied by her maid and trusted companion Dot, her two adoptive daughters Jane and Ruth, and their dog Molly, The Hon Miss Phryne Fisher is off to Queenscliff. She'd promised everyone a nice holiday by the sea with absolutely no murders, but when they arrive at their rented accommodation that doesn't seem likely at all. Kerry Greenwood is the author of more than forty novels, six non-fiction works and the editor of two collections. 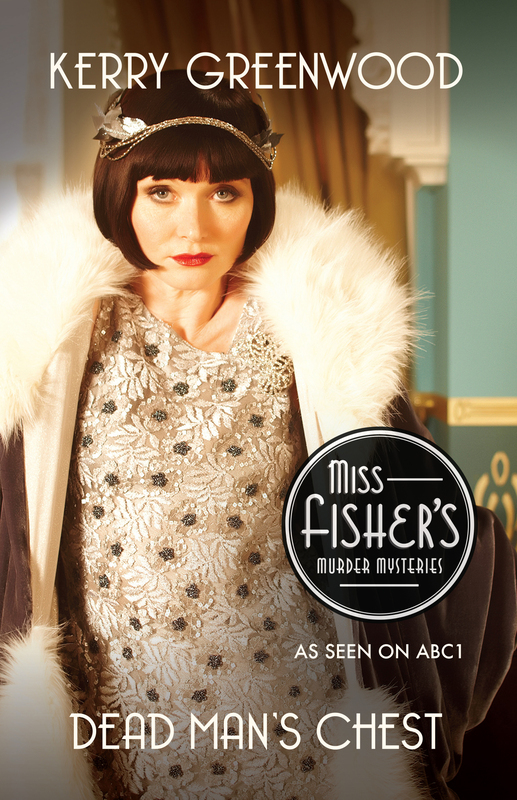 Previous novels in the Phryne Fisher series are Cocaine Blues, Flying too High, Murder on the Ballarat Train, Death on the Victoria Dock, Blood and Circuses, The Green Mill Murder, Ruddy Gore, Urn Burial, Raisins and Almonds, Death Before Wicket, Away with the Fairies, Murder in Montparnasse, The Castlemaine Murders, Queen of the Flowers, Death by Water, Murder in the Dark, A Question of Death: An illustrated Phryne Fisher treasury and, most recently, Murder on a Midsummer Night. She is also the author of the Corinna Chapman crime series, several books for young adults and the Delphic Women series. When she is not writing she is an advocate in Magistrates' Court for the Legal Aid Commission. She is not married, has no children and lives with a registered Wizard.